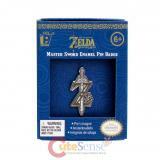 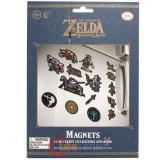 The Legend of Zelda Magnets is a great way to customize appropriate surfaces with Zelda themed icono.. 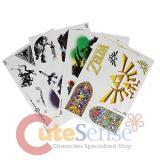 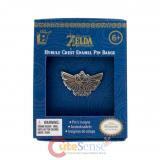 Designed with you in mind, the Paladone Legend of Zelda Vinyl Decals are stylishly adorned with all ..
Take the legend with you wherever you go with this collection of pin badges inspired by the best-sel.. 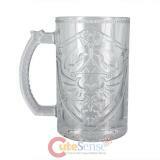 Enjoy refreshment during your latest fantasy quest with this Shield Glass inspired by the epic Legen.. 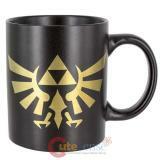 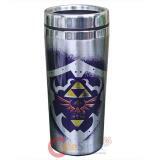 The Nintendo Legend of Zelda Link Travel Mug is an exciting novel addition to any collection, whethe.. 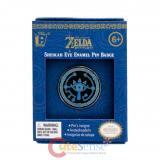 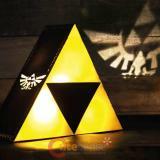 Hold the Tri-Force of Power, Wisdom, and Courage with this exceptionally bright night light inspired..
Legend of Zelda has become a successful and influential franchise within the gaming industry. 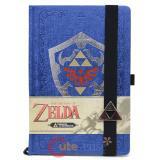 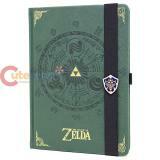 Add th..
Legend of Zelda Metal Shield Premium Leather Look A5 Notebook Leather Look heavyweight hard cove.. 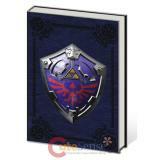 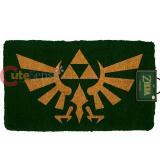 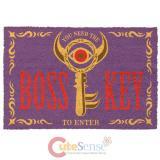 The Legend Of Zelda Crest Door Mat Made from 100% coir with a rubber backing..
Legend of Zelda Hylian Shield Premium Leather Look A5 Notebook Leather Look heavyweight hard cove..
Legend of Zelda Premium Leather Look A5 Notebook Leather Look heavyweight hard cover with embosse..